From Demo to Real Trading: When Are You Ready to Move? Going from demo to live trading is exciting, as you can start making real money in the market. But how do you know that you are ready to do so? 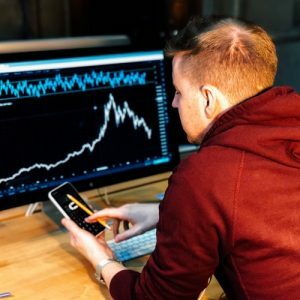 This article will give you 4 signs that show you can start trading for real. Trading with a demo account is not the same as trading with a real account because real trading has emotions involved, to a much higher degree. Nonetheless, if you can’t make consistent profits on a demo account, how can you make money in the real market? Therefore, to move into real money trading, you need to make sure that your trading strategy is consistently profitable during a specific period. The ideal duration for testing is within 6 months. Keep in mind that making consistent profits doesn’t mean you have to win all the time. There’s no trader who doesn’t lose a single trade in his entire trading career. Money management plays an important role in a trader’s success. According to trading coach Dr Van Tharp’s theory, 30% of your success in trading is determined by how you manage your money. Therefore, having a well-defined set of money management rules is a must before you move into real trading. Traders always love to trade in smooth market conditions. However, the market is an unstable object that can sometimes move erratically and makes you doubt your analysis. During those periods when your bravery is tested, whether you can survive in the trading battle or not largely depends on your money management plan. Money management rules are important for your success. Subtly, psychology management rules are the key to it. It’s undeniable that we love winning trades. They make us feel positive and celebrate our day. However, the trading battle is not where winning trades exist only; there are losing ones too. Do you panic when you see the market is going against you? Well, if you do, you are not ready to go live. Keeping a cool head when you are losing is necessary to win in the real battle. It indicates that you understand your trading system and can control yourself. You have a good trading system, a well-defined set of money management rules, and a cool head. You are ready to go live. However, when you get into real money trading, you have issues with opening and exiting positions, or withdrawing money from your broker. Don’t let these issues happen. Bad trading platforms will bring you headaches and test your patience. Imagine how you will feel if you can’t exit a position when you need to, or frequently see widened spreads and slippages when trading. Therefore, make sure that you test your broker with a small live account before seriously going real. Many brokers offer good demo trading services, but things start to get worse when you trade real. Keep in mind that demo trading is not the same as the real one; your trading decisions will be greatly affected by your emotions when real money is at risk. Therefore, do not start with big amounts – try to gain real experience by making small trades first. And ensure your broker provides resources for learning forex that will help you acquire the knowledge you need to become successful.